Kozel identifies three scenarios (p. 20): (1) a judge dealing with a precedent issued by a higher court; (2) a judge dealing with a precedent issued by a lower court; and (3) a judge who dealing with a precedent issued by his own court. It is this third scenario–what Kozel refers to as the problem of horizontal precedent (ibid. )–that poses a real puzzle. Since a court has the inherent power to overrule its own precedents, how should a court decide whether to follow its own precedents or overrule them? 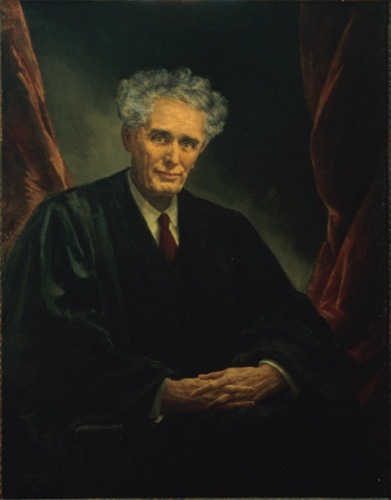 [Note: We shall refer to this precedential puzzle as the “Brandeis Problem” in honor of the great Louis Brandeis (pictured below) for his eloquent and oft-stated formulation of the puzzle. In short, how does a court determine whether it is more important for the law to be settled (by following precedent) or right (by being willing to overrule precedent)? See Burnet v. Coronado Oil & Gas Co., 285 U.S. 393, 406 (Brandeis, J., dissenting).] This puzzle regarding the strength of (horizontal) precedent takes us to the second aspect of stare decisis: what is the scope of precedent? Traditionally, the scope of any given precedent depends on the distinction between a case’s essential holding (i.e. the rule on which the previous case was decided) and its peripheral dicta (i.e. judicial elaboration or explanation of the rule). But as Kozel correctly notes, (p. 22), “defining the scope of precedent can be a complex enterprise,” since the line between holdings and dicta is rarely clear cut or obvious. (That is why potentially applicable precedents can always be distinguished or “argued away” by clever judges and lawyers.) In any case (pun intended), even if we could clearly demarcate this holding-dicta line, supreme court judges must still grapple with the Brandeis Problem, since courts retain the inherent power to overrule their own (horizontal) precedents. Next, Kozel poses a fascinating conjecture: should the strength of a precedent depend on the type of law involved in the previous case? (Putting aside natural law and morality, there are three major sources of law: common law (judge-made rules), statutes (legislation and regulation), and the Constitution.) One could argue that the strength of a precedent should (or should not) remain constant regardless of whether the previous case deals with constitutional law, statutory law, or the common law. For his part, Kozel will not take a position on this question; instead, he will focus the remainder of his book on the relation between stare decisis and constitutional law. That omission is a serious and potentially hazardous one, for the title of Kozel’s book refers to a general theory of precedent. But we won’t hold this omission against him (for now). If Kozel is able to formulate a workable theory of binding precedent in constitutional cases, we could always test his theory in common law and statutory cases later.